After clients have stepped in front of the camera, I have them fill out a post-session questionnaire. This gives me insight into their experience and helps me create the best experience for future clients. I’ll be sharing their answers as well as boudoir portraits from their sessions. First up is Arielle. During my pre-session consultation with Arielle, we talked about what she wanted to wear for her session. While we were discussing wardrobe options, she mentioned having a Wonder Woman cosplay costume! Umm, yes please! 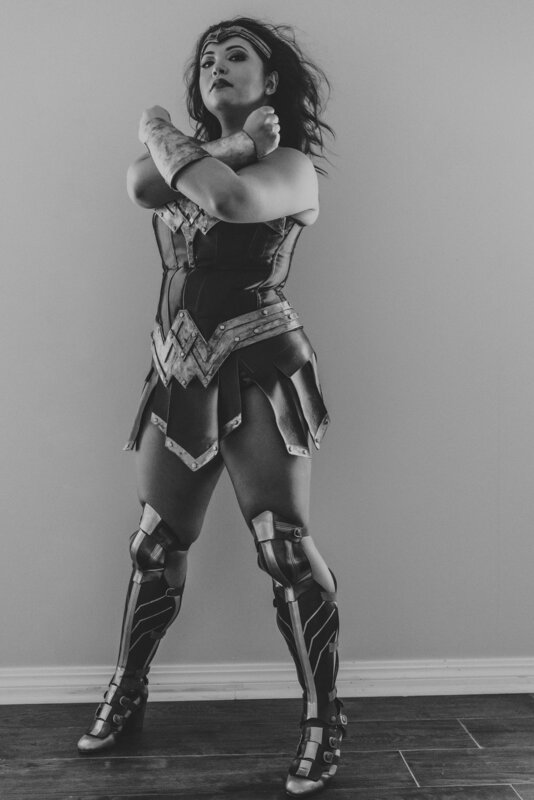 I encouraged her to bring it, and we had a blast incorporating the costume into her session and having her channel her inner warrior. What was your motivation for scheduling a boudoir session with Intimate Lens Studio?